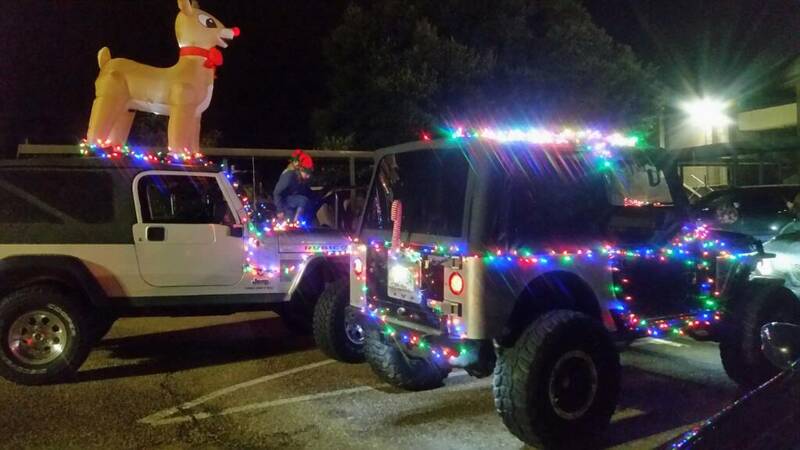 Most of us show up arpund 5:30-600 and start decorating our jeeps in the parking lot with lights. We look forward to going! Looks like I will get candy from Amazon this year. Missed the Halloween stuff. Good deal Allen! I hope it’s not going to be just you and me !!! Is this something I need to sign up for or just show up to meet y’all at 5:30? Just show up! When you get to the parking lot by the school tell the folks at the entry you are with the Jeep club. I always try to decorate beforehand but we can help you when you arrive. Don’t go over 12 feet high! Im planning to be there. Have to put the bikini top back on the CJ, but thats all I got to protect from the rain. Daughter and her friend will be riding in the back throwing out candy. Got some lights on the spare tire already, but have to more strings of lights to put on also. Had a great time at the christmas parade. Thank you for all that showed up and participated in the event. My girls loved it. We appreciate you guys and gals having us!